Our faculty, each whom hold the highest degrees in their field, are not only your professors, but your advisors - mentoring you through your entire time at Lewis, and often after. We have high expectations for our Biology degree students but will provide you with the individual attention and support structure to make sure you succeed. 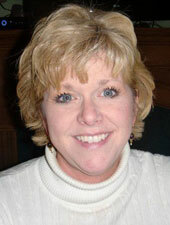 Dr. Marne Bailey has been on faculty as Lewis University since 2004. An alumnus of the university, Dr. Bailey emphasizes an open classroom atmosphere to increase student engagement and participation, as that is what drew her to Lewis as a student. Her research interests focus on understanding an inducible mechanism of bacterial resistance to macrolide, lincosaimide, streptogramin-B, and ketolide antibiotics (MLSBK drugs). Dr. Bailey teaches courses such as Human Heredity, Introduction to Human Biology, and various majors and nursing laboratories. Dr. Bailey also serves as the Biology Lab Coordinator as well as Director of the Lewis University Scholars Academy. Outside the university, she enjoys running and spending time with her husband and two daughters. 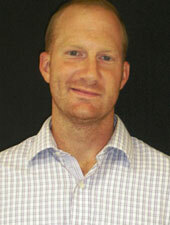 Dr. William Chura joined the Lewis University Biology department in the fall of 2009. Dr. Chura believes strongly in student engagement, and his primary objective is to foster an interest in the sciences and create a bridge between the information learned and the application of that information. Dr. Chura's research focuses on the role of estrogen and progesterone on Neuropeptide Y Y1 receptor expression and the interaction with estrogen receptors involved in Y1 up-regulation. Dr. Chura teaches a wide array of courses for the department including the nursing Anatomy and Physiology sequence, Human Anatomy, General Biology, and Introduction to Human Biology, along with numerous lab classes. In his free time, Dr. Chura enjoys participating in a wide variety of athletics as well as spending time with his wife, a podiatric surgeon. 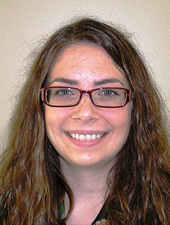 Dr. Mallory Havens joined the faculty of Lewis University in 2014. She encourages students to be active participants in their educations and apply the knowledge they gain in the classroom to their future careers. She has a passion for working with undergraduates. Dr. Havens’ research focuses on the biogenesis of non-canonical RNAs and pre-mRNA alternative splicing in disease. Dr. Havens teaches the General Biology lectures and labs. 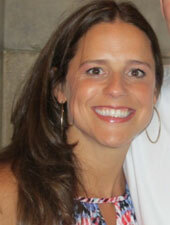 In her free time, Dr. Havens enjoys running, yoga, traveling and spending time with her family. 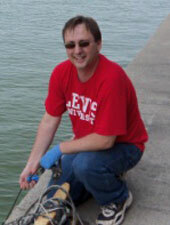 Dr. Jerry Kavouras, Professor of Biology, has been a member of the Biology Department at Lewis University since 2005. Currently, he is the Chair of the Department and directs the Environmental Science program. Dr. Kavouras teaches courses for Biology and Environmental Science majors, including General Biology, Microbiology, General Ecology and Evolution, Principles of Environmental Science, and Conservation Biology. Dr. Kavouras is a mentor for undergraduate research. Students participate in research projects that study biofilms (microbial communities) on surfaces, the survival of coliform bacteria on fabrics, ecological roles of invasive mussels, and environmental quality of soils. Many of his Lewis undergraduates, as a result of their experiences, have presented work at regional and national scientific meetings. Outside the university, Dr. Kavouras serves on the editorial board for the Journal of Microbiology and Biology Education and as a manuscript reviewer for scientific journals. He also works to develop and offer new experiences for students to explore science. 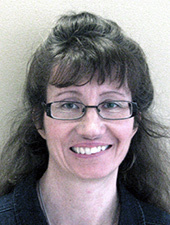 Dr. Lisa Kozak has been a member of the Biology departmental faculty since 2006. With a background in dentistry, Dr. Kozak acts as Director of the Dental Hygiene program, helping students gain their Bachelor's degree as they pursue a career as a dental hygienist. 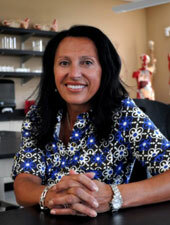 Dr. Kozak also acts as liaison between the Biology Department and the College of Nursing. Dr. Kozak teaches primarily foundation courses for nursing students, including the Anatomy and Physiology series as well as Pathophysiology. Dr. Kozak also actively pursues clinical opportunities for biology majors such as the Professional Clinical Practicum course offered in conjunction with Presence St. Joseph's Hospital. In her free time, Dr. Kozak likes to travel with her husband and children. 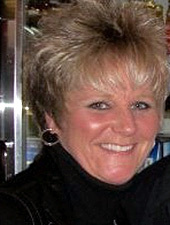 Dr. Cynthia Misischia joined the faculty of Lewis University in 2011. Dr. Misischia holds a joint appointment in the Biology and Chemistry departments. 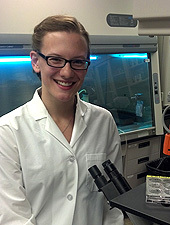 She is interested in exploring the role that science plays in criminal investigations. In particular, how anatomy, physiology, biology, and chemistry contribute to solving crimes. Dr. Misischia encourages students to be active participants in the learning process. She accomplishes this by using lecture, case studies, and discussions to explain the science behind the solving of crimes. The laboratory portion provides students with “hands-on” experiences in using scientific techniques in criminal investigations. Dr. Misischia teaches the Anatomy & Physiology lectures and labs for Forensic Criminal Investigation students, as well as the Forensic Chemistry lecture and lab course. In her free time, Dr. Misischia enjoys spending time at the family lake home, traveling and spending time with her family. Pifer has been teaching various lab courses and non-major lectures for several years at Lewis University. Prior to Lewis, Ms. Pifer was a Research Associate at Loyola University Medical Center in the Departments of Cell Biology, Neurobiology and Anatomy as well as Microbiology and Immunology. While at Loyola, Professor Pifer's work focused on Cellular Immunology, Cancer Immunology as well as Immunology of aging – research interests she continues today. Like all departmental faculty, Professor Pifer's passion for science leads to her belief that learning should be a hands-on engaging process for all involved. Professor Pifer teaches the General Biology lab sequence, Anatomy and Physiology lab sequence, and Microbiology lab for majors as well as nursing students, in addition to classes in Pathophysiology, Human Heredity and Human Biology. When she is not engaged in helping students learn, Professor Pifer enjoys an eclectic array of music, traveling and spending time with her family. 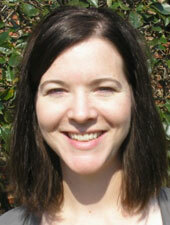 Dr. Sarah Powers joined the Lewis University Biology department in the fall of 2012. Dr. Powers is interested in development and regulation of cells of the hematopoietic system and how these cells behave normally (in the context of an immune response) and abnormally (in the context of leukemia/lymphoma). More specifically, her research has focused on the role of cyclin D3 as a cell cycle mediator as well as a component of transcriptional regulation during B lymphopoiesis. In the classroom, Dr. Powers emphasizes the ability to effectively communicate scientific ideas both orally and in written form. Dr. Powers teaches Human Heredity, General Biology II, Immunology and various laboratories for both nursing and biology majors. Outside the classroom, Dr. Powers enjoys baking, photography and dancing. 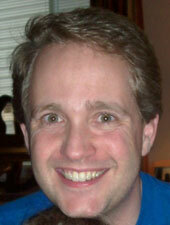 Dr. James Rago joined the Lewis University faculty in 2006. His professional training lies primarily in the realm of clinical microbiology which led to his current research interests. Dr. Rago studies the prevalence of strains of Staphylococcus aureus in various clinical settings, as well as the antibiograms and genetic properties of selected isolates. Dr. Rago also works in collaboration with faculty from the Chemistry department to assess the antimicrobial activity of silver-coated titanium dioxide nanoparticles. Dr. Rago teaches courses for both Biology and nursing majors in the department. His course list includes Microbiology, General Biology II, Nursing Microbiology, and Human Heredity, as well as numerous lab courses. Outside the Natural Sciences, Dr. Rago enthusiastically encourages students to become more engaged in the world of politics and enjoys spending time with his wife and three children. 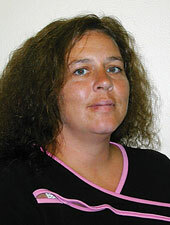 Dr. Jennifer Roberts has been a member of the Biology department faculty since the fall of 1996. With a background in a clinical setting, Dr. Roberts was hired to assume the role of Director of the Pre-Health Professions programs. In this role, Dr. Roberts assists students as they apply to medical, dental, veterinary, pharmacy and other health professions programs. Dr. Roberts brings several speakers from across the professional spectrum to campus each semester and sponsors a workshop each spring to educate students about the health professions. Dr. Roberts also serves as the moderator for Tri Beta, the Biological Honor Society. Dr. Roberts teaches the first semester majors course, General Biology I, as well as a wide variety of upper division courses, including a two semester sequence in Clinical Biochemistry, Medical Physiology (with case based learning lab), Pharmacology and Medical Ethics. Outside the university, Dr. Roberts serves on the Review Panel for the Journal of College Science Teaching. In her free time, she enjoys gardening, walking with her husband and watching her three daughters participate in sports and a wide array of extra-curricular activities. Dr. Snyder joined the Lewis faculty in the spring of 2015. She came from the Medical College of Wisconsin were she was a Postdoctoral Fellow studying signal transduction pathways involved in intrinsic resistance to cephalosporins in the bacterium Enterococcus faecalis. Dr. Snyder has a passion for teaching undergraduates and strives to create a classroom environment that is conducive to learning. She encourages her students to enjoy their academic experience, create and maintain a positive attitude to learning and to always keep an open mind. Dr. Snyder teaches Human Heredity, General Biology Lab, Integrated Science for Education Majors and Microbiology Lab for Nursing Majors. Dr. Snyder also serves as the Biology Lab Coordinator and Safety Officer. Outside of the University, Dr. Snyder enjoys swimming, biking, walking, cooking, decorating, reading and making trips back to Wisconsin to spend time with family and friends. Dr. Erin Zimmer has been an active member of the Biology faculty since 2004. Dr. Zimmer's research interests lie in the genetics of complex diseases, but have recently expanded to include genetic undergraduate education and curricular revision. Dr. Zimmer works closely with Rush University as Director of the Vascular Ultrasound, Medical Laboratory Science, Respiratory Care, and Perfusion Technology B.S. to M.S. 3+2 articulations. She also serves as chair of the Lewis University Institutional Review Board (IRB). Dr. Zimmer teaches numerous courses in the major, including Genetics, Biostatistics, Molecular and Cellular Biology, and Biology of Cancer. When she is not on campus, she enjoys spending time with her husband, a research scientist/professor, and three sons.